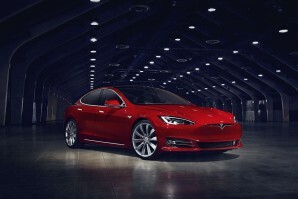 New Tesla Car Leasing and Contract Hire Deals. Search for Tesla car lease deals below. The world has never seen such technology in a vehicle. Founded in 2003 by Elon Musk he has created a global business and the quickest acceleration and longest range ever seen in a fully Electric Vehicle. The Model S in 2015 and 2016 was the world's best-selling plug-in electric car. The crossover SUV the Model X and the Model S are available to lease now from Total Vehicle Leasing . The newly launched Model 3 is destined to widen the appeal with its price positioning when it arrives in the UK. If you are in the market for the car of the future lease it now. You will be in tomorrow’s world today with a Tesla. Why lease your next Tesla car from Total Vehicle Leasing? Not only can we help specify your next brand new Tesla car, we will find the right finance deal for you and arrange everything from placing the order to delivering it to your door - it couldn't be simpler. Search the Tesla car you want, choose the contract length, the initial payment amount and ask us for a quote. Alternatively give us a call on 01565 65 66 66.